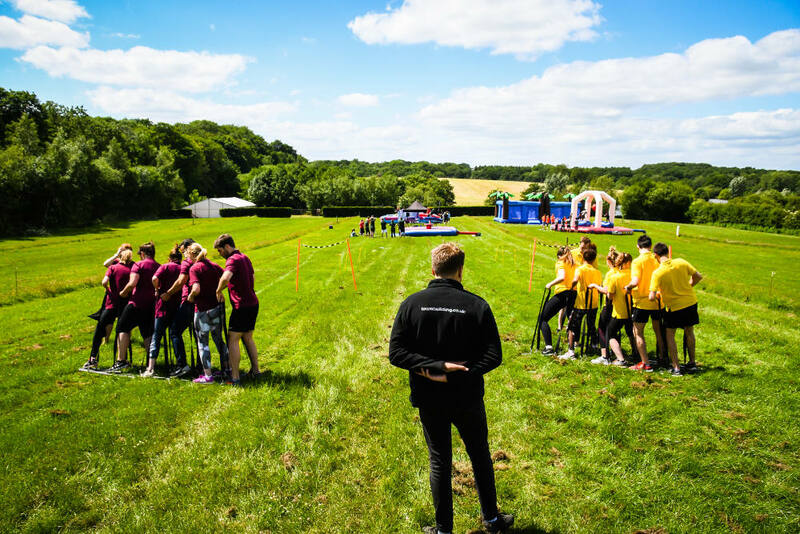 Loved by young and old, our ‘It's A Knockout’ tribute event is high energy, colourful and supreme fun. Using our great selection of giant inflatable games and activities, we recreate the fun of that wild and whacky game show. The result is a spectacular event that often becomes an annual contest with companies coming back year after year. 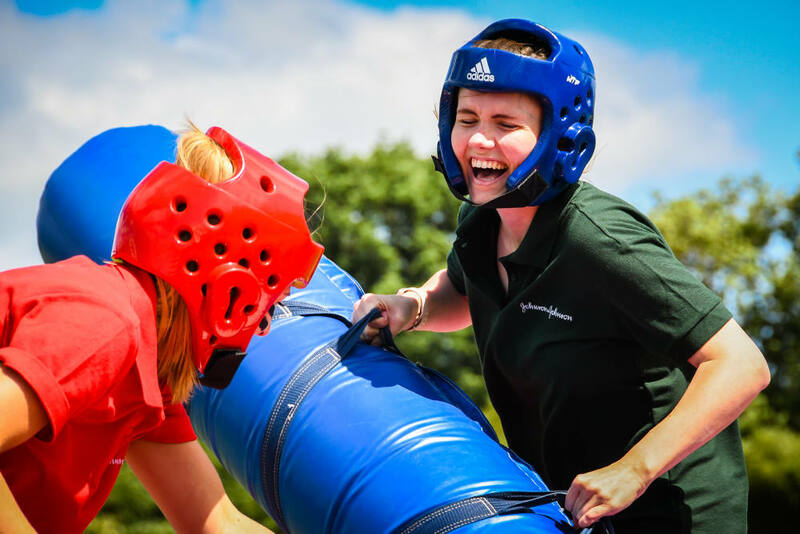 Teams go head to head to battle it out on activities that include our Human Table Football, Giant Inflatable Volleyball, Human Demolition and Sumo Relay, to name just a few. This hilarious day has one of the biggest laugh-factors of all of our events. 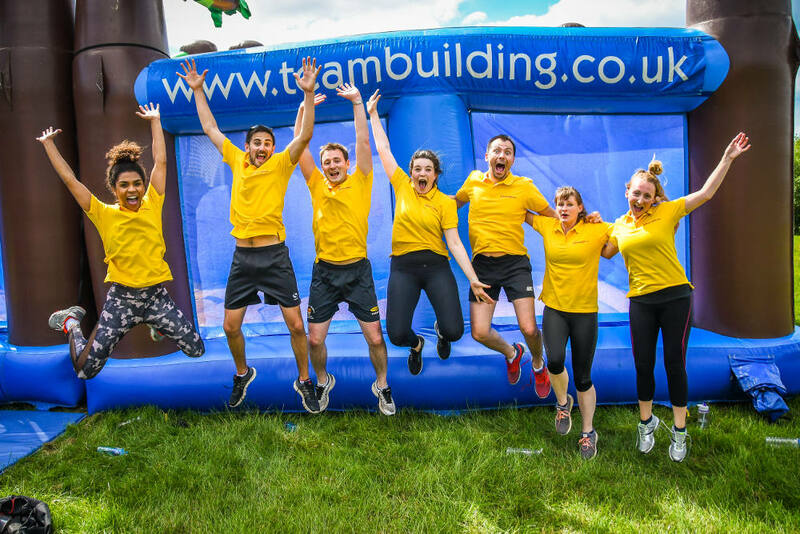 The focus is on exuberant team bonding through shared enjoyment of our seriously silly challenges. You’ll go home with a grin from ear to ear, and some great stories and banter for the office on Monday. Arriving at the activity field, you will be awed by our massive, colourful inflatables. We start with a big, funny group warm-up to get everybody limbered up, led by our characterful Event Manager. Once the group is split into teams, the fun begins. The light-hearted competition becomes as intense as the laughter. The overall group size defines the content for an It's a Knockout event. For smaller groups of fewer than thirty, we can produce a cost effective multi activity programme. For larger groups, even several hundred people, we have the resources and experience to put on a major show. Looking for a way to 'break the ice' before the start of your event? 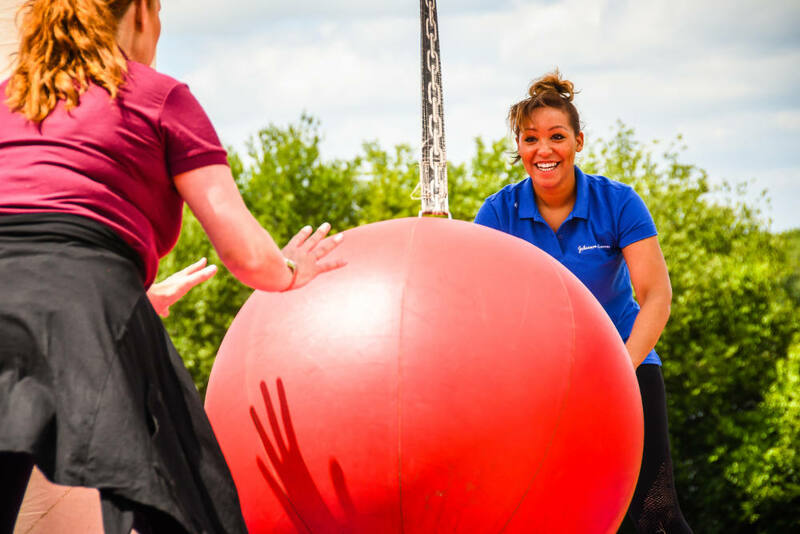 Why not check out our range of Ice Breakers that will have your group in a lively shake up within seconds! The‘It's a knockout' afternoon was outstanding! All the delegates had a thoroughly enjoyable time and we had some very positive feedback. I'd like to thank all the team for delivering a very well organised event, they were very professional, informative and encouraging. We are all aching from both the physical activity and laughter, thank you!